Students from Butler Community College serve meals inspired by Operation Holiday donations. After months of searching, Inter-Faith Ministries has found a distribution center for Operation Holiday in Towne West Square. Operation Holiday served over 12,000 low-income residents last December by distributing food, coats, toys and more. Inter-Faith Ministries has been holding the charity since 1961. The charity usually likes to have a spot secured by Nov. 1. But as the month rolled on without a set location, Operation Holiday Director Ashley Davis was getting nervous. "Panic. Shear panic," Davis said. "My boss said the show will go on. If we have to put up tents we'll do it in tents." Luckily for Davis, they reached a deal to use the mall's old Sears location. There are some restrictions -- the second floor will be unusable due to safety concerns -- but Davis believes it is better than the alternative option of using multiple, smaller storefronts. The 30,000 or so square feet allocated to the charity is mostly empty, but Davis said it will start taking shape over the next week. "We'll have a grocery area," Davis said. "We'll have a coat area. We'll have a toy area. So it'll begin to be recognizable as Operation Holiday within a week." The charity will open in its new location for three days starting Dec. 14. Why Do Wichitans Give To Charities Around The Holiday Season? 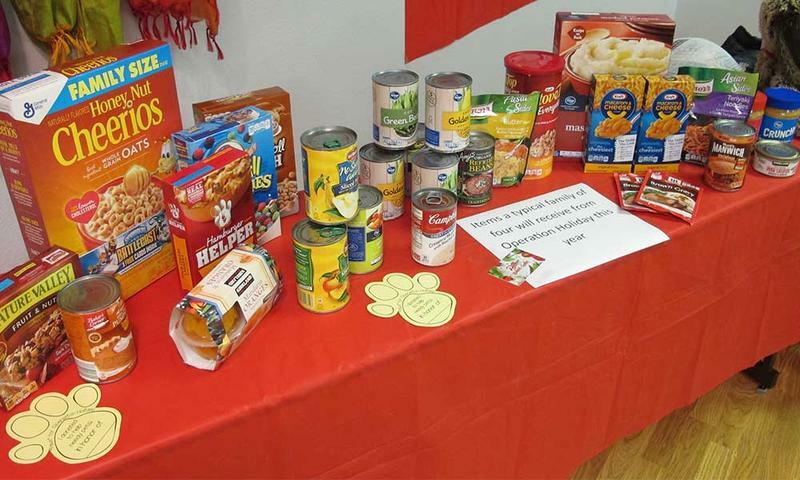 Why do people give to charities during the holidays in Wichita? Several volunteers share why they give, and several people who have received holiday help share how it affected their lives. Which charities do you support during the holidays? Do you give your time, your money, or some other kind of support? Have you ever received holiday help? Was the assistance what you needed? What did you think of the experience? Share your story with us on our Facebook page.